BilliB the clock specialists offer the ROSE Grandmother Floor Clock, a classic Long Case Clock finished in a light natural wood and a mineral glass front door, brass dials and silver chapter rings. Roman numerals. Lyre pendulum. A German built mechanical movement which is weight driven and plays Westminster chimes and has a night chime silent facility. Free delivery to any UK address. BilliB floor clocks are delivered – depending on the clock, in one to four weeks. While popular clocks are likely in stock with Hermle UK agent, others have to be ordered from their factory in Germany, so If time is crucial, please contact Clocks & Chimes before placing your order, for more details regarding your choice of clock. If time is crucial, please contact Clocks & Chimes for more details regarding your choice of clock. Clocks & Chimes will let you know the expected delivery date, and of any likely delay beyond the normal delivery time. If you would like notification about the delivery from the carrier, please include a mobile telephone number when you place your order. Clocks & Chimes will let you know the expected delivery date, and of any likely delay beyond the normal delivery time of one to four weeks. BilliB, established in 1969, has the largest selection of varying styles and finishes of mechanical chiming clocks in the UK. The varied range is available to view in its showroom in Bournemouth and most models are available from stock. BilliB have teamed up with some of the finest manufacturers in the world giving BilliB the benefit of over 300 years of experience, quality & craftsmanship in producing a premium range of clocks. 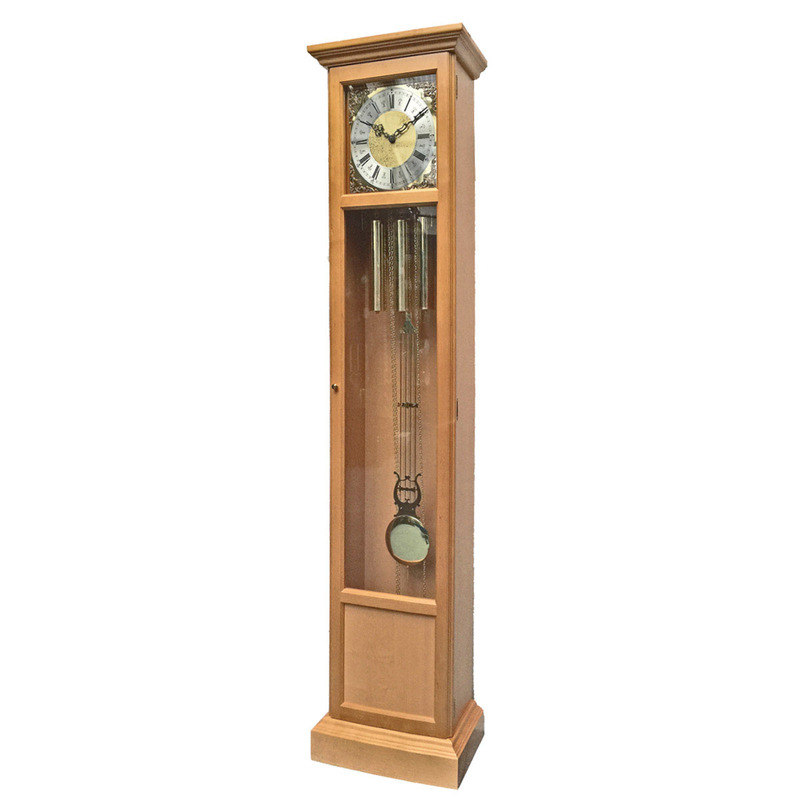 They have years of experience and knowledge, and have the expertise to advise when you have decided to purchase one of their beautiful clocks offered here at Clocks & Chimes online store. BilliB in Central Bournemouth has the largest permanent display of Grandfather Clocks, Grandmother Clocks, Wall Clocks and Mantel Clocks for the discerning buyer wishing to purchase an antique of the future. Click on the video below, to see BilliBs Bournemouth display, all of these clocks are available through Clocks & Chimes.